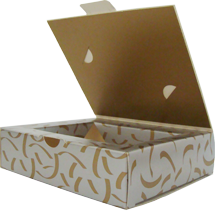 Wausau Container is equipped to produce folding cartons in a wide range of sizes and styles using various substrates. Some product categories include cheese and butter, tea, nutritional supplements, beverages, frozen entrees, candy, fabric softener sheets, and automotive parts. Many of our customers are producers of private labeled goods. We have developed numerous programs specifically designed to meet the unique challenges of highly complex multi-item requirements.